Posted: Monday, April 15, 2019. 3:46 pm CST. By Aaron Humes:Add another vote to the ‘YES’ column in today’s Senate debate – from NGO Senator Osmany Salas. The most junior Senator says the NGO community is officially neutral on promoting a Yes or No vote on the ICJ Referendum but has empowered him to vote his conscience on the Bill being debated today. He too believes that Belize has a ‘once-in-a-generational’ opportunity to slam the door shut on Guatemala’s claim once and for all. Salas’ vote and Valerie Woods’ earlier abstention ensures the bill will pass to the Governor General for his signature and assent into law, but there have been threats to challenge it in court. 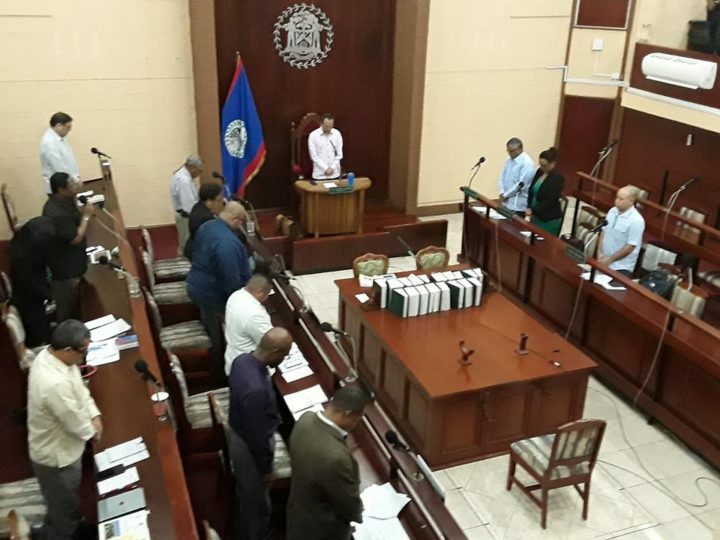 Government Senator Dr. Carla Barnett argues that Belize and Guatemala have exhausted the negotiation process because Belize has traditionally refused to give up anything from land or sea, while Guatemala will not accept anything less. None of the Special Agreements she has consulted, she said, allows for the arguments in the case to be set up before going to court. She also threw condemnation on the Opposition for seeming to delay the referendum and conspiring to deny Belizeans the vote. Dr. Barnett added that there is no such thing as ‘a rush’ to the ICJ, given that it took many years to get Guatemala to agree, and another ten to their vote, and if Belize goes as well it will be another few years of arguments and hearings before an actual decision is given. Earlier, Toledo-based Senator Macario Coy stood in support of the vote.